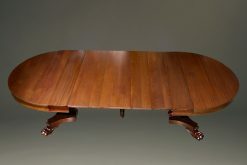 54″ mahogany split top pedestal base dining table. 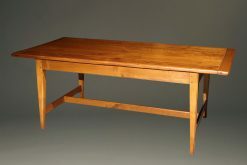 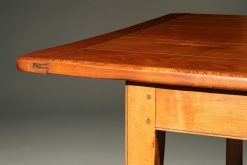 Custom French farmhouse table made in solid cherry. 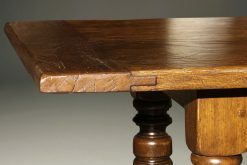 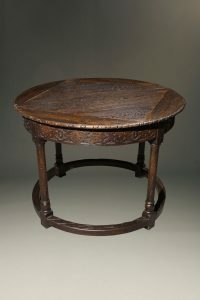 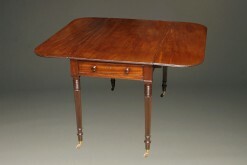 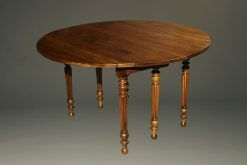 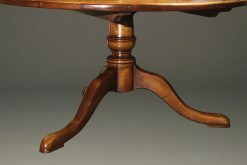 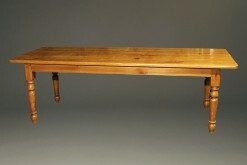 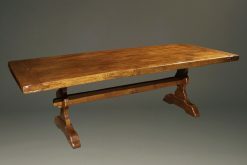 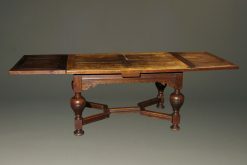 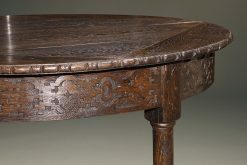 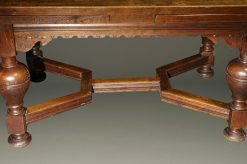 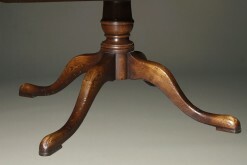 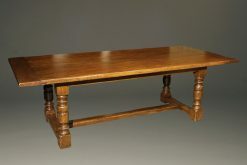 19th century oak, French draw leaf table with turned legs. 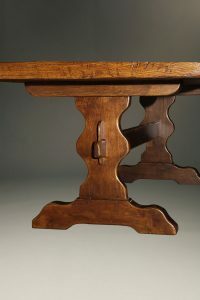 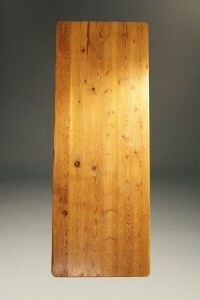 Custom English farmhouse table in oak with stretcher base and turned legs. 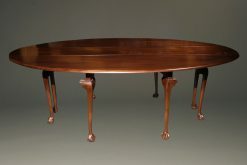 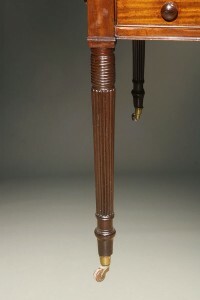 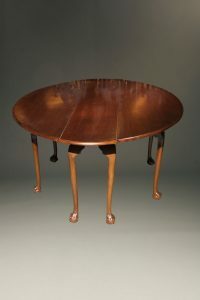 Oval mahogany wake table with ball and claw and feet. 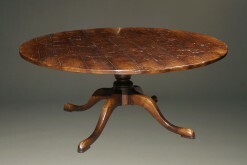 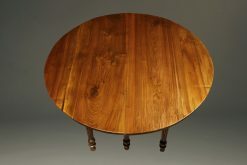 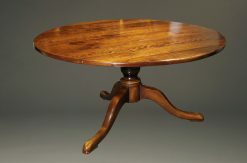 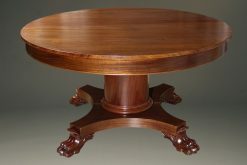 Custom 18th century style round English pedestal table in cherry.